Man, those bowheads can really blow! 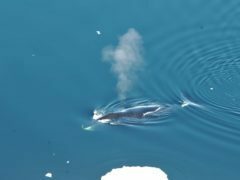 Bowhead whales are the jazz musicians of the deep, according to scientists who have studied their “freeform” and diverse singing style. The world famous Arbroath Smokie has been immortalised in song. Dundee fans have taken to singing to Cammy Kerr “he’s one of our own” and the local-boy-made-good admits it’s music to his ears.